SYTERA, LLC is a privately-held Company providing broad-scope services and system integration to various Departments of the Federal Government, with special emphasis on the DoD, Intelligence, Army and Homeland Security communities. To meet your needs, we provide superbly experienced and dedicated staff, a keen ability to listen to what you say, emphasis on real value for every hour of effort, and efficient processes to ensure the quality of our work. Most of our staff has a history of service to the Nation. 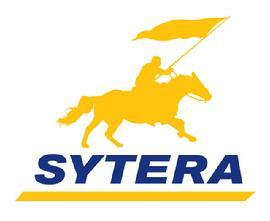 SYTERA operates with a strong emphasis on ethics and customer satisfaction. We understand the Mission imperative and bring relevant, responsive and flexible solutions to our customers. Being a Veteran Owned Small Business (VOSB) and having founders with many years of successful small business management and growth experience, SYTERA will be a responsive and minimum risk small business partner on contracts with such requirements.